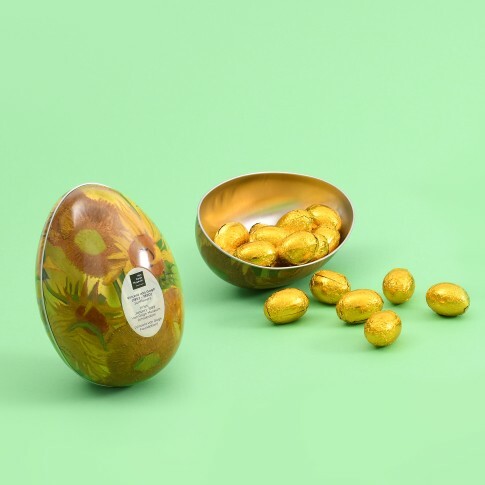 Sunflowers Easter egg metal tin filled with delicious milk chocolate eggs. Made with the finest chocolate from Holland, UTZ certified. 175 gr.